A warm & masculine fragrance that lifts your mood. Presenting to you a long-lasting fragrance with opening notes of precious woods & oriental spices that leads to a sensual, smoky fragrance. A perfect scent for men, it awakens your senses and keeps you refreshed all day long. An intense fragrance that rejuvenates you from within. Just a single whiff of this scent keeps you fresh for long time. A refreshing fragrance that exudes freshness and awakens your senses. 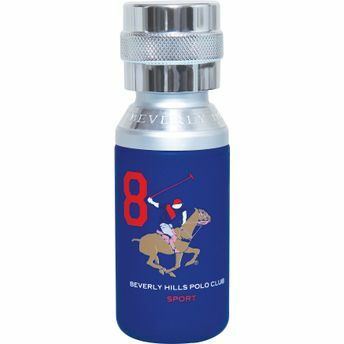 Additional Information: Established in 1982, Beverly Hills Polo club a world-famous brand is inspired by both the luxury and heritage of Beverly Hills and is an ultimate experience itself. The brand evokes a sense of elegance and captures the excitement of the sport of Polo. BHPC has a wide range of Clothing, Fragrances and Accessories that are a perfect epitome of luxury, style and comfort. Address of Mfg / Importer / Brand: Old Khandsa Road, Sector-37, HSIIDC, Gurugram-122001, Haryana (India).